201806/04 – Two Shields Investments PLC, formerly Blenheim Natural Resources, said Monday its lithium interests in south western Mali and south western Niger are « progressing well ». The third stage of the exploration programme across four lithium exploration projects in Mali are near completion. Two Shields has a 40% shareholding in Xantus Inc who control the licences. The exploration campaign has seen 5,000 metre drilling programme test for greater concentrations of lithium oxide below the extensively weathered surface. Drilling was focused on six pegmatite outcrop clusters where elevated levels of lithium oxide were previously identified. The results are expected in the third quarter of 2018. In Niger the planned work programme has started. Two Shields has a 30% interest in Nashwan Holdings Ltd who control the licences. The programme includes 5,000 metre auger geochemical drilling and geological logging focussing on high grade targets Dibilo and Dibilo East. Chairman Charlie Wood said: « Our West African lithium portfolio is progressing well as we look to quantify the prospectivity of what we believe to be an exciting lithium package that presents a significant opportunity for value generation for Two Shields. 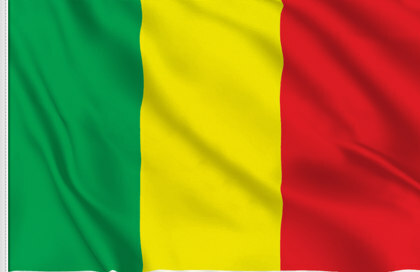 In Mali the potential for high grade mineralisation beneath the weathered surface has been tested by 5,000m of auger drilling and now a similar work programme is being deployed in Niger following the recent highly promising results including grades of 3.22% lithium oxide. The geology in Niger and Mali are both highly prospective being located within a rapidly emerging global lithium province. Shares in Two Shields were down 5.4% at 0.31 pence each Monday.